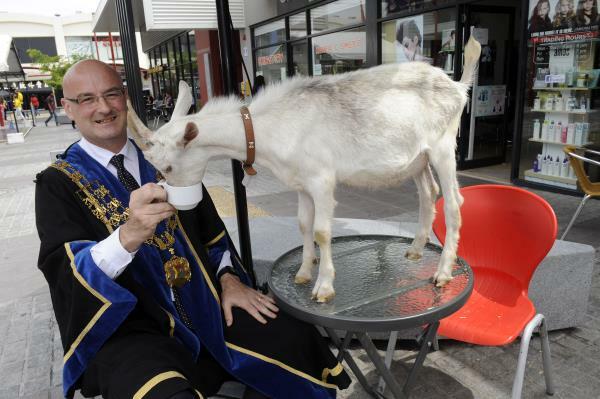 THE Year of the Goat will be officially welcomed in at a spectacular Lunar New Year celebration in Springvale on Sunday 15 February. A crowd of up to 80,000 is expected to enjoy Asian culture and traditions including food and entertainment from China, Vietnam, Japan, Korea and Mongolia. Greater Dandenong Mayor Sean O’Reilly is among those who are looking forward to the spectacular celebration which draws thousands of visitors to the city. “The festival is a great opportunity for local families to participate in an event which promotes harmony, tolerance and understanding,” Cr O’Reilly said. The council has worked in partnership with the Springvale Asian Business Association to organise the event, which is now in its 23rd year. Cr O’Reilly said the partnership ensured the cultural significance and quality of the event was maintained and strengthened. Visitors will enjoy a wide range of street food and beverage stalls from more than 50 multicultural vendors as well as arts, crafts and novelty stalls, family entertainment and large-scale amusement rides and carnival attractions. The festival, centered around Buckingham Avenue, runs from 9am until 9pm.